Torpoint Funeral Directors Pidgen & Son was established at Trevol Business Park in 1990 by David Pidgen, having originally been founded by David’s father Francis in 1946. In 2003, David entrusted his business to Walter C. Parson, a family run company originating from Stoke Climsland, Cornwall. 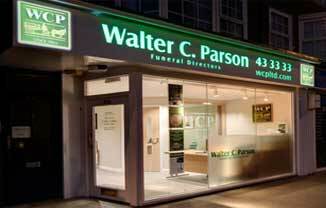 Pidgen & Son is now run by our team of local, qualified funeral directors. Our office has been recently refurbished and is situated just off the main Trevol Road, near HMS Raleigh, in a country setting with ample parking facilities. Feedback"You made it all so easy, yet so professional"
Feedback"Ayesha was so caring and compassionate and certainly professional in every aspect of the arrangements"